Marianne Burr, silk painter, quilter, and Whidbey Island SDA member, is the featured artist at the La Conner Quilt Museum in La Conner, Washington in the show “Made by Hand” from March 26 – June 29, 2014. She will be there Saturdays starting April 12th demonstrating her methods. 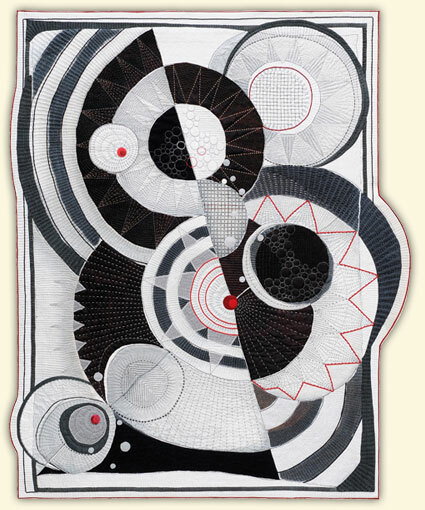 Marianne is currently in Tokyo receiving the Silver Award at the 12th Quilt Nihon Exhibition 2014-2015 at the Tokyo Metropolitan Museum of Art for her work “Class of 1935”. 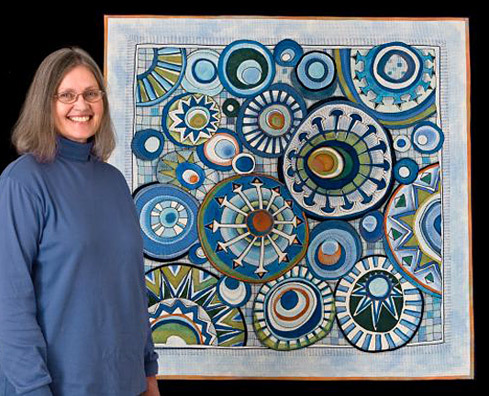 Her pieces are an inspiration to silk painters, surface designers, and quilters alike. For more, see marianneburr.com. This entry was posted in Exhibition, Member Event, Member Spotlight and tagged art quilts, hand stitch, La Conner Quilt & Textile Museum, Marianne Burr. Amazing! Fabulous Artquilts! So much harmony please my eyes. Definitely I will share this on my FB – let everybody enjoy it. 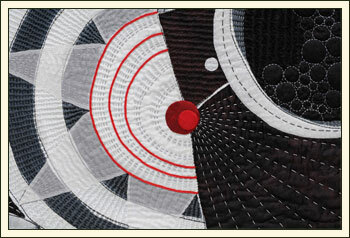 Big step ahead in Quilting!